Hello stampers! Happy Tuesday! Today I'm going to show you a shutter card first. I made another one using the retired DSP and Thoughts and Prayer stamp set. You can see the other one I made here weeks ago. Here are some pictures of the Day Camp day 2. Little cuties having fun at Day Camp. My DH explaining how to make the craft project to the helpers. Here is the cute penguin. These boys were proud of their penguin. Jarod is the one in stripes. Faith, the one in pink, is waiting for her turn at the game of popping bubble. Congratulations, Nancy! You've won the Summer Fun Friday Giveaway #4! Please email me your snail mail and I'll mail your prize out to you. Have been wanting to make one of these forever! After seeing your sample, I am ever more determined to get started! Great job. Love the color choice. We had our first day of Day Camp today and it was fun. The theme for this year is Polar Express. As usual, my husband and I are at the craft table. The kids got to make a foam cross today. On the cross it said LOVE GOD. The opening of Day Camp. Skit time. The leader Paul and Ben Freisen (Larry). Hope and her new friend Mia. The craft man (DH) and the photographer John. Photo of the foam cross at the craft table. Hope was having a hard time tracing her cross. She ended up just gluing the hearts onto the half sheet of 8 1/2" x 11" foam. Happy Friday everyone! I'm a little late on my Summer Fun Friday Giveaway today. We went crabbing at Tsawwassen and caught nothing. It was also windy too. We also went strawberry picking and the fruit is really sweet. Yummy! Well, today I'm giveaway this post-it-note organizer with a decorated pen and a little pocket inside to put little notes in there. I got the idea from Angie Juda. She is such a talented lady. To win this just simply comment on this post and I'll pick a name Monday night 9 pm Pacific Time. Good luck! Hello, stampers! Happy Thursday! We're going Dim Sum today and my DH is so excited about it. He loves Dim Sum. I made these card using all the last chance stamp sets. I didn't have a chance to use the Wild About You set yet and now it is retiring. But I got a new animals set to play with. It is called Animal Stories available to purchase July 1. This is one of the many perks of being a demonstrator, we get to preorder stamps before it is available to the customers. To Have and to Hold stamp set. Wild About You stamp set. Happy Wednesday everyone! It is raining here today but we need rain once in awhile. 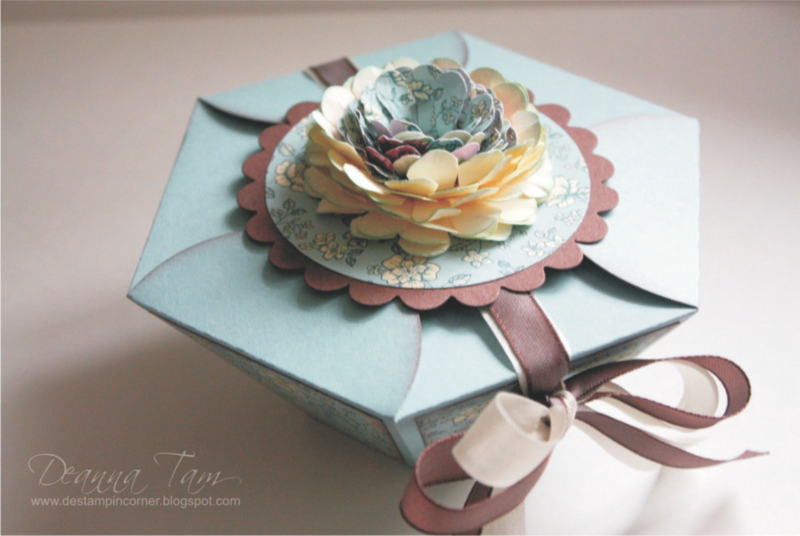 Today I'm showing you a card holder that holds 4 cards and envelopes. It is a nice holder to give as gifts. I'm using up my retired designer series papers which I've been hoarding for a long time to make this holder and cards. Got to use up all the old DSP so I can get new ones. -With the 11" side going across the top, score it at 5 1/4" and 5 3/4"
-With the 8 1/2" side going across the top, score it at 6" and 6 1/4"
Start with Cover and fold on all score lines. Cut on the 5 1/4" and 5 3/4" score lines from the bottom up to the 6" score line and trim off the tab in between to create the inside pockets. Use brads to hold the pockets in place. Wrap ribbon around the holder in line with the brads and adhere a glue dot to back of the brad and place ribbon over the brad to hide it. Hello, everyone! Good day today! I want to share with you a RAK I received last week. Got all these awesome stuff all the way from Hawaii. Thank you Charlotte! I love the chocolate covered Macadamia with rice crisp. Hello, stampers! I made this card the same time as the one post here. I took a picture of them together but never post it. The layout is the same but the roses are different. I used the 5th Avenue Floral for this card. Stamped it three times and cut them out and layered them. I used the blender pen to coloured the rose. Here is a picture of the two cards together. They are so pretty. I love roses. I'll buy every roses stamps SU sells. Can't get enough of them. Here is the inside of both cards. I noramlly leave the inside blank but people tells me I need to have some kind of saying inside so I listen. congratulations, Debbie! You've won the Summer Fun Friday Giveaway #3! Email me your snail mail and I'll mail the box and a kit to you. Very clever, Deanna. I have been wanting to make one of these so I can teach it to my clubbers. Thanks for sharing your talent and the opportunity to win. Thank you all for participating in my Friday giveaway! Stay tune for the next one this Friday! Hello, stampers! Hope you did something special for Father's Day for your husband and father. We went to church and my DH made Chinese Dim Sum for lunch. Yes! He cooked something special for his own Father's Day. He is awesome! He loves to cook and crazy about Dim Sum. Anyway, this card was made with the level 3 hostess set Kind & Caring Thoughts. I did the Rock n' Roll technique for the flower and stamped it onto a Whisper White scallop circle cardstock. I used the new Rich Razzleberry and Crushed Curry In Color cardstock for this card. They are a really pretty colors. Hello, stampers! Are ready for another fun Friday? Today I'm giving away this little Top Note die box plus a kit to make one of your own. This a great little box for putting little treats in for party favors. This stamped image is the new stamp set Lots of Bots (so cute) that will be available for purchase July 1. To win this just simply leave a comment on this post and I'll pick a name Monday at 9 PM Pacific time. Have a great day and weekend! Hi! Today I'm showing you all the new In Colours. Aren't they gorgeous! I got my new catalogue already and love, love, love all those new stamps and accessories! Can't wait to show you the new catalogue! The stamp set I use to make these cards is the new level 3 hostess set called Kind and Caring Thoughts. We got to purchase one level 2 and one level 3 hostess sets as a demonstrator. These sets are not available for purchase but you can earn it by hosting a qualifing workshop. Hello, everyone! I'm so excited! I received my new Stampin'Up! stamp sets and the In Colours. These two card uses all the new In Colour inks, papers and a stamp set called Lots of Bots which are available to purchase July 1. We got to preorder these before they are available. This is one of the perks for being a demonstrator. 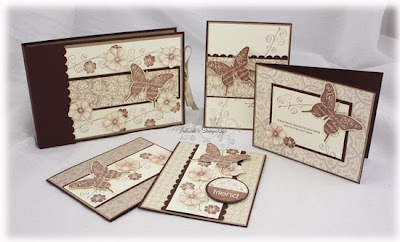 The neutral colors of the Bella Bleu DP combine with the Friendship stamp set give this card set a vintage feel that bring us back to the days when sending hand-written notes to our friends and love ones was common. In this class you'll create a card portfolio and 4 standard size cards. 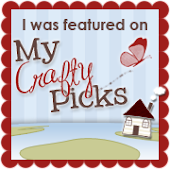 If you are a Stampin'Up! demonstrator, please click on the Demo to Demo icon on the right to purchase this class. Thank you! You can purchase a class-to-go if yo can't make it to the class. The cost will be $20 plus $5 for shipping. You get the pre-cut consumable materials only and a step by step instruction email to you for the class-to-go option. Congratulations, Christine! You've won the Summer Fun Friday Giveaway #2! Wow Deanna, what a beautiful card!!! Your work is VERY inspiring!!! Thanks for all the great ideas!!! Please email me and I'll send you the card to you. Went to a wedding on Saturday. I gave this 6x6 card to the bride and groom. I coloured the hair those colours because the groom is Filipino and the bride is Caucasian. Hope they like the card. 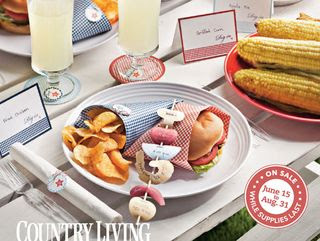 What a great way to make your summer gatherings easy, fun and special!